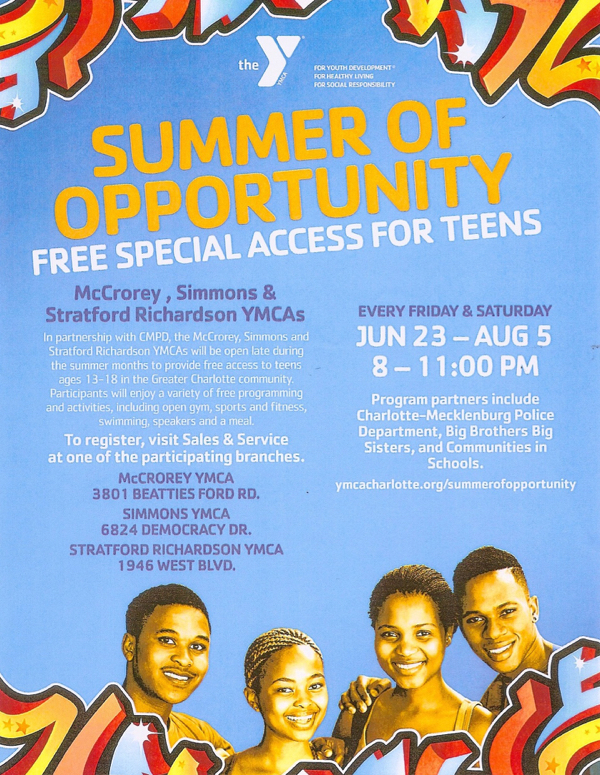 City Council member Greg Phipps brought up the project to open three YMCA facilities for use exclusively by teens on Friday and Saturday nights between June 23 and Aug. 5. The flier at right and a sheed explaining the need for volunteers are in a single PDF file here. Below is a video of comments by Phipps and Gipson. Click inside black rectangle to start the video. Brenda Robinson has scheduled another of her Aviation Camps of the Carolinas outings for two days in late June. Her comments are below. More info is on her website and Facebook. Registration appears to be here. Click inside black rectangle to start the video. Blanche Penn discussed an arts and music camp beginning Monday, June 12, at West Charlotte Recreation Center. More info here. Medical and registration forms here and here. Her comments are below. Click inside black rectangle to start the video. 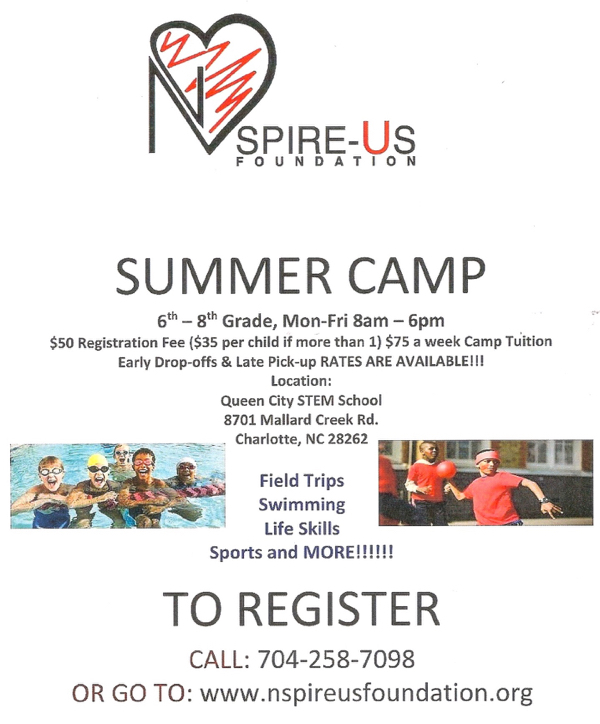 Chrstine Edwards left the flier at right about a camp for middleschoolers at a University City charter school. It is sponsored by Demario Baker’s Nspire-us Foundation. More information is on the foundation’s website.